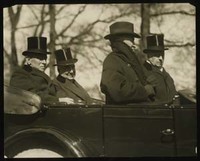 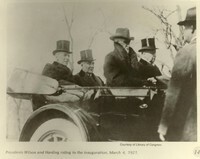 Date is exactly "1921 March 4"
Woodrow Wilson, Warren G. Harding, Joseph G. Cannon, and Philander C.
Knox in Harding’s inaugural parade. 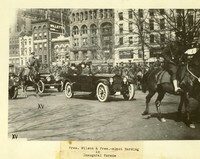 Joseph P. Tumulty arrives at the Wilson House. 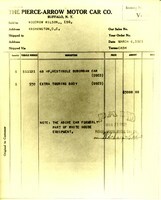 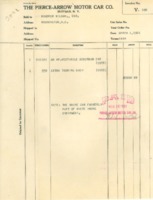 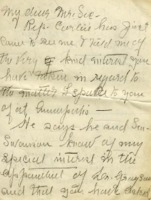 This invoice states that the Pierce-Arrow was purchased 12 March 1921. 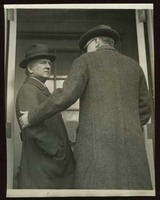 William G. McAdoo sends a statement to the press defending the Wilson Administration's actions during the Paris Peace Conference.